Chapter Two is offered for sale after completing a 9 year circumnavigation. 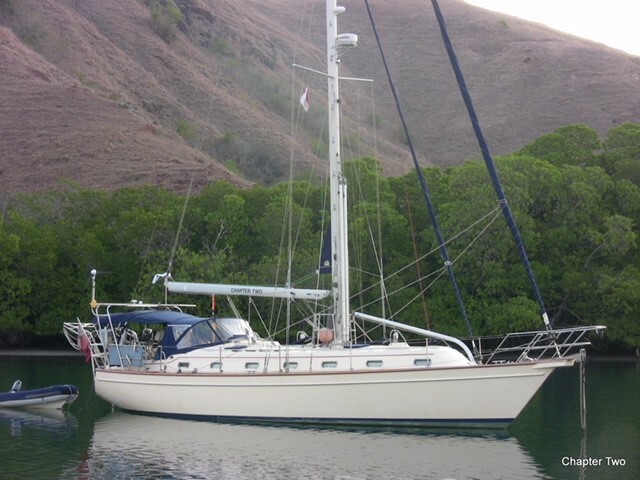 One of the best equipped and maintained blue water sailing yachts on the market. She is ready to sail away for another circumnavigation. Or just exploring local waters or living aboard. The superior quality and design of the IP420 together with all the owner added features gives you the best in safety, comfort and performance for sailing whilst also providing a comfortable, liveable and secure home. The long list of features include 2 solar panels, 2 windgenerators, airconditioning and watermaker plus a large Rocna anchor for secure and restful nights. The hydrovane self steering, electronic autopilot, AIS transceiver, SSB and twin whisper poles ensure a safe and easy sail wherever in the world you choose to venture. Continuously maintained and updated throughout our ownership. We have lived our dream now you have the opportunity to live yours!